When to come to Alsace? I stayed in a standard room. It was small and with very simple decoration, but it was well-equipped and soundproof. The bed was fine, but a bit hard to my taste, but I still slept very well. The bathroom is very small, but fully functional. Everything was very clean. 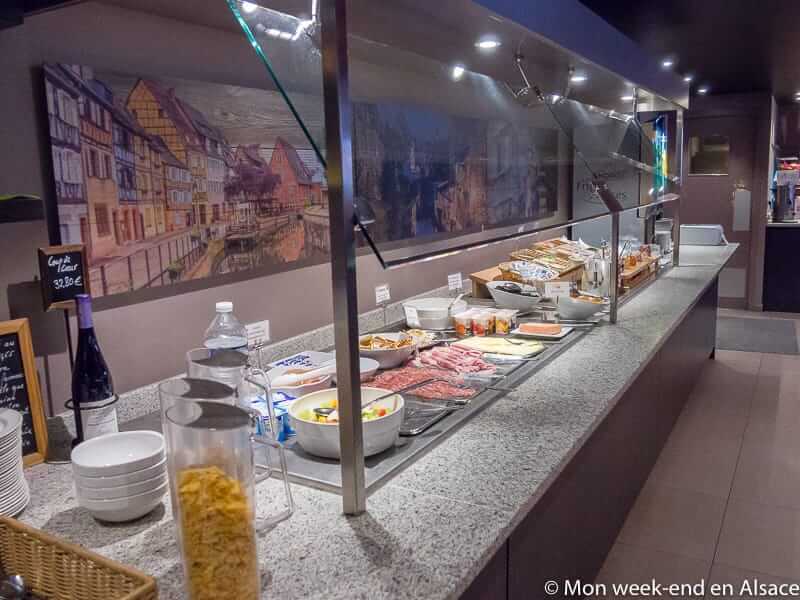 The hotel Les Maraîchers offers a very copious breakfast buffet, with a large selection of products (including a few Alsatian specialties). Once again, it’s perfectly fine considering the price (9€). I went twice to have lunch at the Maraîchers and I was pleasantly surprised! It’s a bit cold to my taste, but what I ate was really good. Once again, it’s great value! The hotel Les Maraichers is located in an area that’s not very interesting, between two avenues. 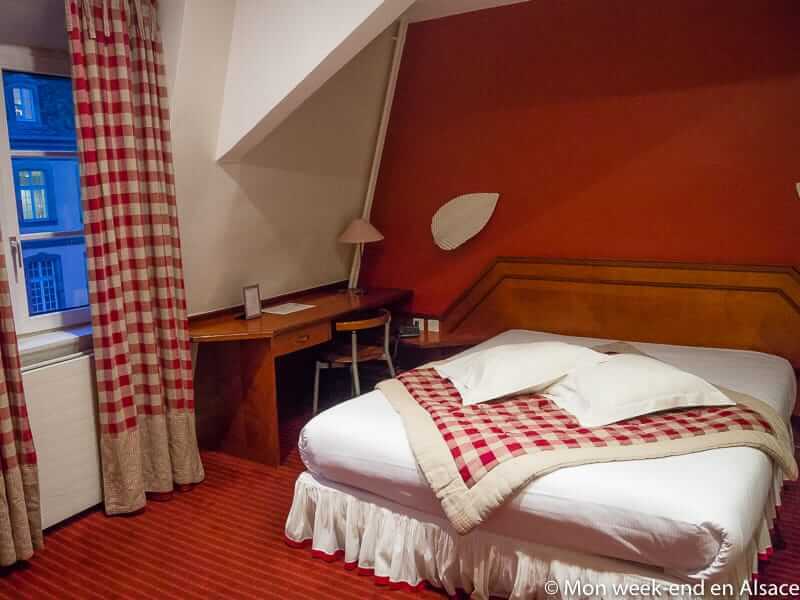 Nothing glamorous, but the location is not that bad, as you get access to a free closed parking (it’s not that common in Colmar) and you’ll be close to the motorway access, all the while being only a 15-minutes walk away from Little Venice. The hotel is well soundproof, so being located on bustling avenues is not an issue. For this price, it’s a lot of advantages! Unfortunately, I didn’t take many pictures that day… you can see more pictures by clicking on the booking link below! Depending on the dates, standard room prices are between 60 and 100€. The address is as follows: Hôtel – Restaurant Les Maraichers 83 route de Bâle 68000 Colmar. A closed private parking is available for free. Laurene is the founder of the My weekend in Alsace. She is from Britany but she has lived in Alsace since 2014. 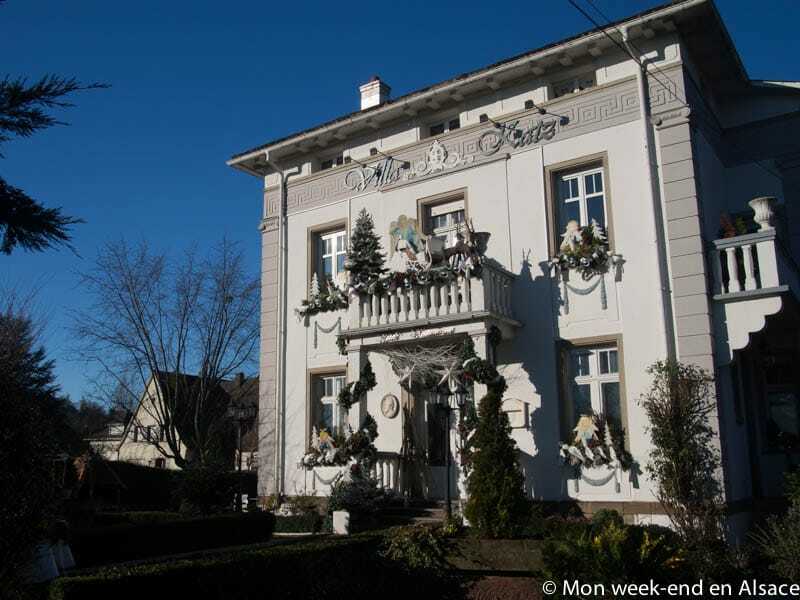 She fell in love with her region and decided to create a blog and to buy, with her husband, an Alsatian house in a small village in the Kochersberg, next to Strasbourg. She likes to explore Alsace, on foot,on her bike, on her horse (named Obiwan) or in her small car, a Fiat 500 car, to find good spots for her readers. 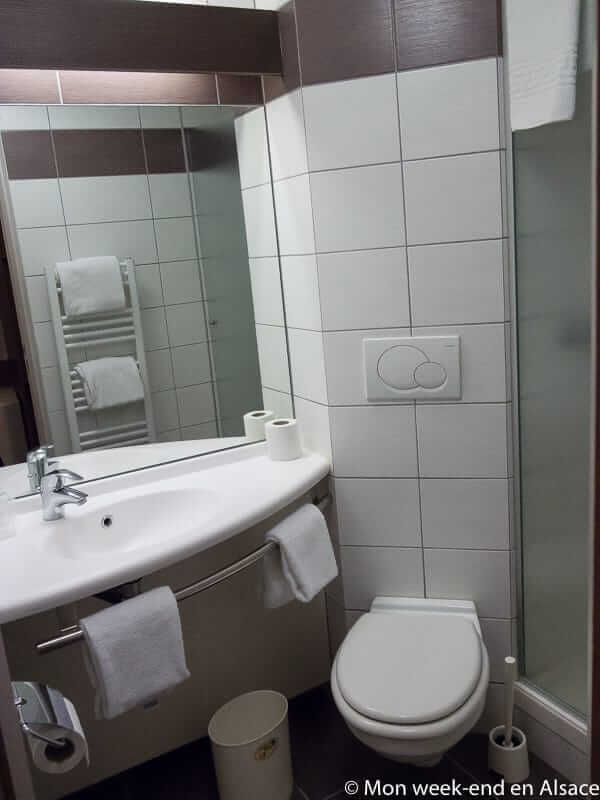 Hotel Etc in Strasbourg – Great location and good value! What is My Weekend in Alsace ? My weekend in Alsace is a blog which is dedicated to Alsace. It was created in July 2015. Its purpose ? Helping visitors organize their weekend or their vacation.The blog also helps the locals to know more about their own region ! 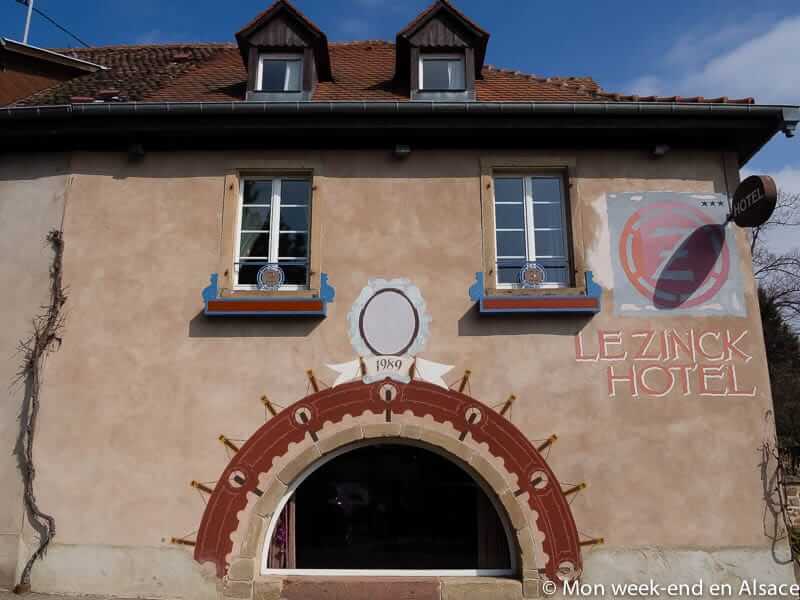 Laurene, who started the blog, and the other members of the team, explore Alsace and give you good tips and selected addresses like a friend would do!